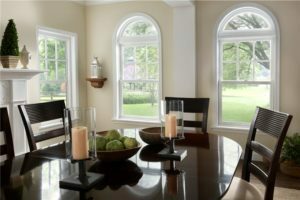 If you are on the fence about replacement windows and doors for your South Jordan, UT home, then there are a few things that you need to consider. This beautiful area of Utah is surrounded by mountain views and excellent outdoor activities. But, living in a home that needs to be upgraded can decrease your quality of living if you aren’t proactive with the renovations. There are many benefits to living in such a beautiful part of the state, including the stunning views that can be seen from your window. If you live in South Jordan, UT, then you can look outside to see majestic mountains and a beautiful valley. But, you won’t be able to enjoy these views if you don’t have the right windows to maximize the scenery around your home. When the weather turns cold in the winter season, you can look through the windows to see the stunning views without freezing in the snow outside. Upgrade the windows so that you can get rid of the low quality, outdated glass and bulky frames that are blocking your view. Despite the fluctuations in the real estate market over the years, real estate values in the Salt Lake area have maintained consistency compared to the rest of the country. Even if you aren’t planning to move for a while, current home improvement projects can help you to maximize the value of your home later on. As a homeowner, it is your responsibility to manage the upgrades that will increase the value of your home. As a result, you will be able to ask a higher price when you are ready to sell. Increasing your equity can be beneficial so that you have more money to roll into your next home purchase. Winters in Utah can be hard because of the inversion that rolls in and affects the air quality of the area. If we want to get rid of the pollution in the air, then it is essential that individuals are proactive to change their daily habits. Each decision that you make will either contribute to the pollution or help to decrease the polluted particles in the air. Even though you might not think about pollution when you turn up the heater or air conditioner, you need to remember that the energy usage increases the consumption of fossil fuels. As a result, your daily choices might cause the pollution to get worse. On the other hand, energy efficient replacement windows and doors can be helpful to decrease your carbon footprint. Not only will you reduce your impact on the environment, but you can also benefit from the lower utility bills as well. When people drive by, what do they think when they see your home? The quality of your property will set an impression for family and friends. You need to make sure that your home is maintained so that you are contributing to the neighborhood in a positive way. High-quality windows will have an immediate impact on the curb appeal of your home. These windows help to give the property a facelift so that you can bring a modern style to your property. At the same time, you will also improve the interior appearance of your home as well. It is incredible to see the difference it can make to install replacement windows and doors in your home. Most homeowners will agree that South Jordan is a safe place to live. But, just because the crime rates are low, doesn’t mean that your family isn’t at risk. Theft and break-ins happen occasionally, so you need to ensure that your home is locked down to prevent intrusion. Replacement windows and doors are designed with modern security features that will keep your family safe from harm. If security is one of your highest priorities, then it is essential that you talk to our team about your goals. During your consultation, we will listen to your requests and identify the windows and doors that will best meet your needs.